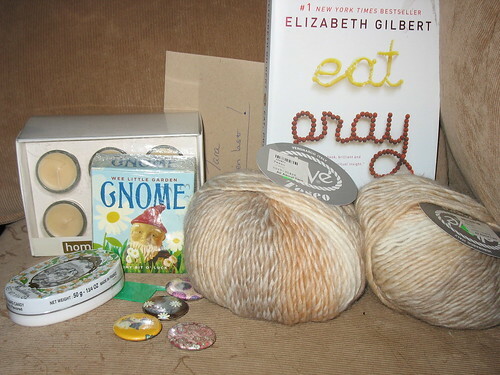 My final Summer of Yarn swap package arrived. Two Skeins of DiVe Teseo yarn in sand. Thanks so much to Britnlind!